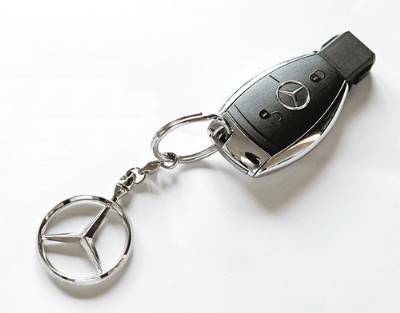 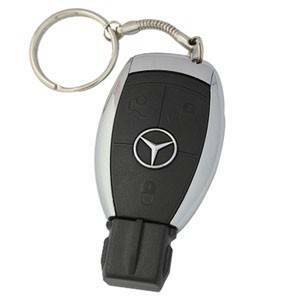 Car Key Spy Camera disguising as a Mercedes Benz Car Remote that can be use as a Video Recorder, Audio Recorder, USB Drive, or Webcam. 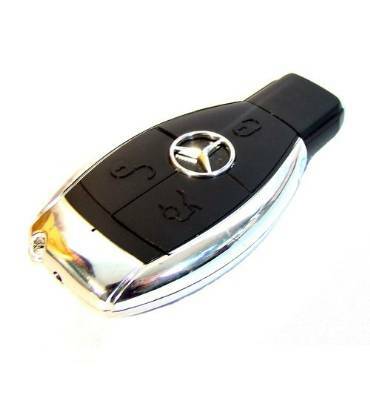 The hidden spy camera is capable of recording video at 640x480 and taking pictures at 1280x960 resolution and easily start recording with the press of a button. 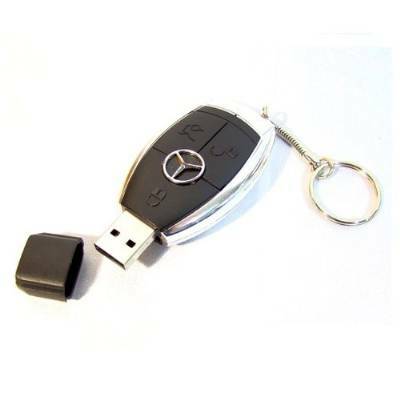 No USB cable needed, you can plug it directly into your USB port just like a USB Drive.